Paris : Discover its quirky places ! If you’re anything like the rest of us, I’m willing to bet that when you think of Paris, the top three things that come to mind are the Eiffel Tower, the Champs Elysees, and the Arc de Triomphe. Don’t get me wrong, each of these places is a wonderful venue for tourists to visit, but what if you’ve already seen these places? What’s left for you to see in Paris that will make your visit worthwhile? The Musee Dupuytren is a rare treat for the curious and truly bizarre minds. Here you’ll find dozens of anatomical wax models including fetuses, brains, and various other specimens that have been preserved over hundreds of years. Established in 1835, this museum houses a collection of specimens from various surgical operations and research done on unusual diseases at the time. If your stomach can stand it, you’ll be able to see an astounding library of gory exhibits collected over the past few centuries. The Villa la Roche is a building that was designed with various unconventional concepts that give it a dream-like aura. 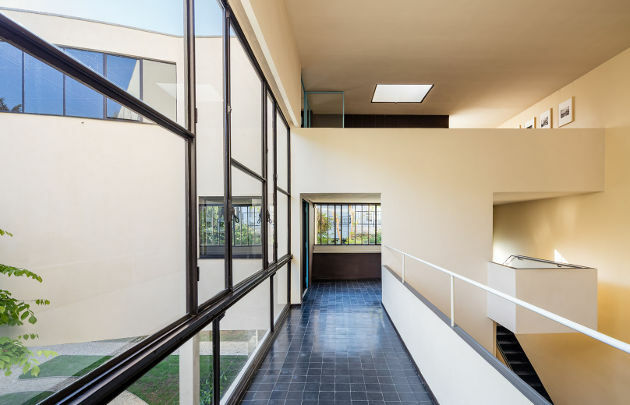 The house is an artwork conveying both Cubism and Purism, and entering it feels like stepping into a painting. There are walls that open, stairs and ramps that contract, and corridors and balconies that expand, giving you a real three-dimensional perspective in many different angles. This is unlike anything else you’ve ever seen, and it’s well worth paying a visit to the Maison La Roche the next time you’re in Paris. The Rotary Love Hotel is located in a part of the city that used to be a red light district, and it keeps some of the most sordid secrets tucked safely behind its ornate doors. It’s just a few minutes from one of the most famous symbols of entertainment in Paris, the Moulin Rouge. It’s said that in its illustrious past, this hotel was once a popular brothel. Today, the hotel keeps a tight lid on the secrets of its past, but it still remains among the sexiest and most exciting places to stay for the night! Your trip to Paris will not be complete without a visit to the Ghost Station. Although it’s one of the utilized modes of transport in the city (and therefore the last place you’d expect to see a ghost), the Paris Metro has hidden parts that have been either abandoned, forgotten, or never used and closed off to the public for some reason. As you can see, there are many other things to discover on your next trip to Paris that are off the beaten path. Use this article as your guide to discover four of the quirkiest and most unexpected places that will make your visit to the city an unforgettable one.